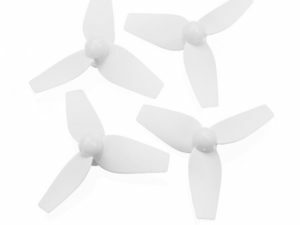 2.5″ four blade propellers which are designed to provide maximum thrust in smaller size. 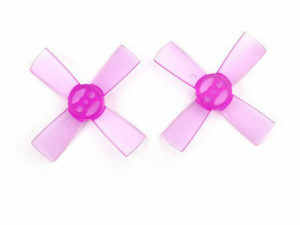 Because of interlocking mechanism, they can be used as 4 blade or two blade propellers. 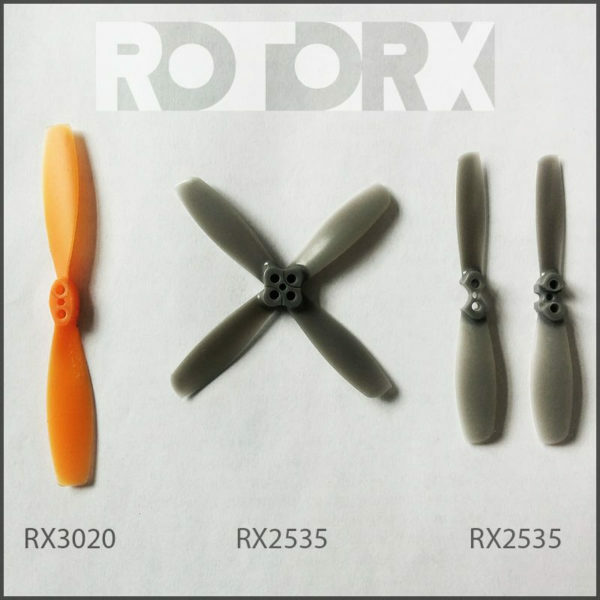 New black version of propellers with improved interlocking mechanism. 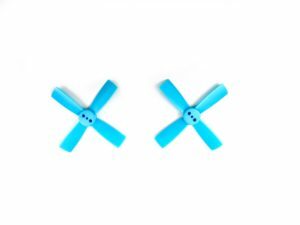 Very good quality and I like the fact that you can use them as 2 or 4. If I want maximum thrust, these are the props to get. I like how they include m2 x 7mm screws with this set. As it great that you have the option to run a 4 blade or 2 blade setup too. 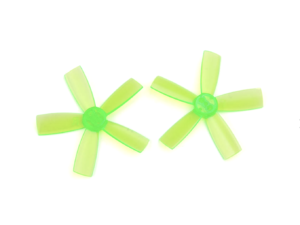 But the only 2 draw back it the durability of the props… after a hard crash the props do not bend back very well. And assembling these props takes a bit more time than your standard props. You have to match the correct direction to the top and bottom and make sure they are right side up and not upside down. It is not difficult but just takes a little more time.